This past week I decided to seek out other ways to print out poster maps besides just using up all my ink at home. It turns out that printing some posters at the bog box stores wasn’t too expensive. Check it out. I grabbed the map for the Neverwinter region that the artist Mike Schley hosts on his website, and I photoshopped out the secret areas, as this is meant for the pc’s to see.. I then gave it a parchment background and blew it up to 11×17, and had it printed and laminated for $4.57 at Staples. It was printed on matte paper, which is a little heavier than normal paper. I am very happy with the results. 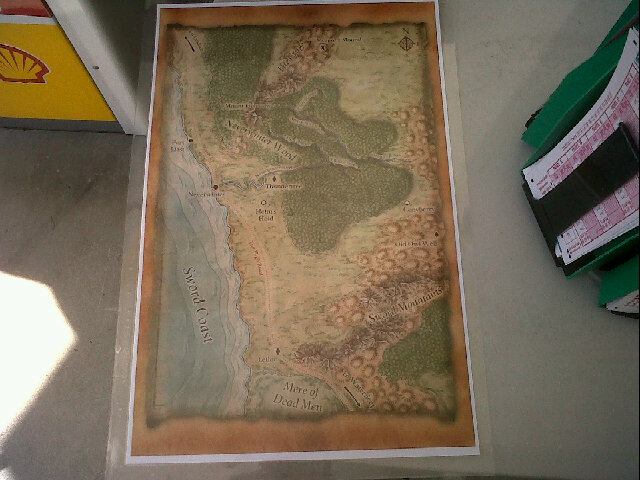 Neverwinter region map, printed and laminated. The other map I printed was for the first encounter area in the new Encounters season. I took a look at the map and saw that it is easily recreated using the Dungeon Tiles Master Set: The City, so I got my digital copy of that (I scan my tiles) and got to work. This map was printed at 18×24 on glossy photo paper. The way I see it, a plaza by the river might be a reusable map, so I spent the extra bit of money to make it nice. Office Max was running a special price of $9.98, down from a regular price of $18, so I thought it was worth it. So if you follow my map resizing tutorial, or digitize your dungeon tiles, and hit the office supply stores, you may find it’s worth the investment. I know that I’ll be doing it again the future. Also on the topics of maps, Sly Flourish posted an index of all the D&D poster maps to date, and it’s pretty neat, and worth checking out. I’ve had great luck with reasonable printing costs at Staples for other projects. 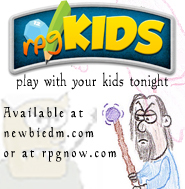 Definitely a nice resource to have access to. I work at a university which has a multimedia lab for students. 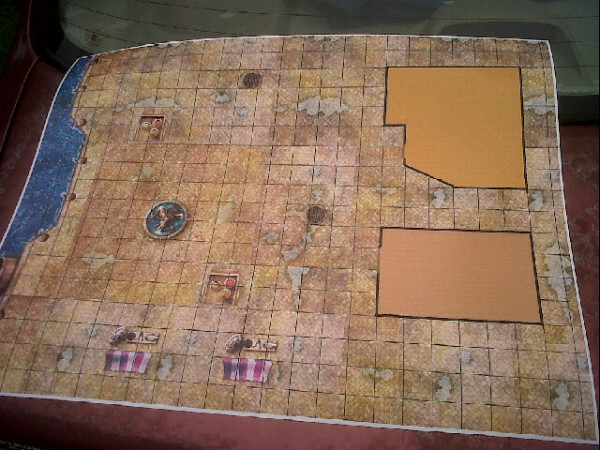 They have a large format printer and I was able to have a 22″ x 30″ map of Eberron printed for right around $6. If you don’t need color and you’re on a budget, Office Depot’s black & white large format printing is even cheaper. I should add that I’ve used Gary’s service, and it is great. I’ve also found that if you get an encounter map of a general area (like a road or town square), make it simple and get it laminated, you can write on the lamination with dry erase markers and add more distinct features specific to the encounter so they are more reusable. I don’t understand the price you mentioned. When I went to Staples, it was cheaper than some other places I’d priced, but not remotely near that price range. Maybe different parts of the country have a different price structure or it’s gone up. Dunno. Anyway, thanks for the great blog post! Keep in mind when this article was written… 2011. maybe prices went up ?